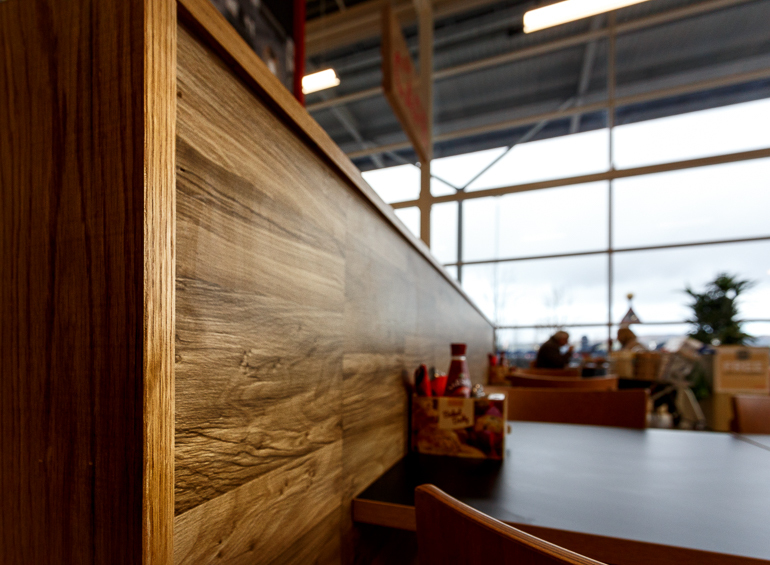 THE new in-store Cafe at the Tesco superstore in Port Glasgow is the 10th restaurant to be completed for supermarket giants by Pacific. 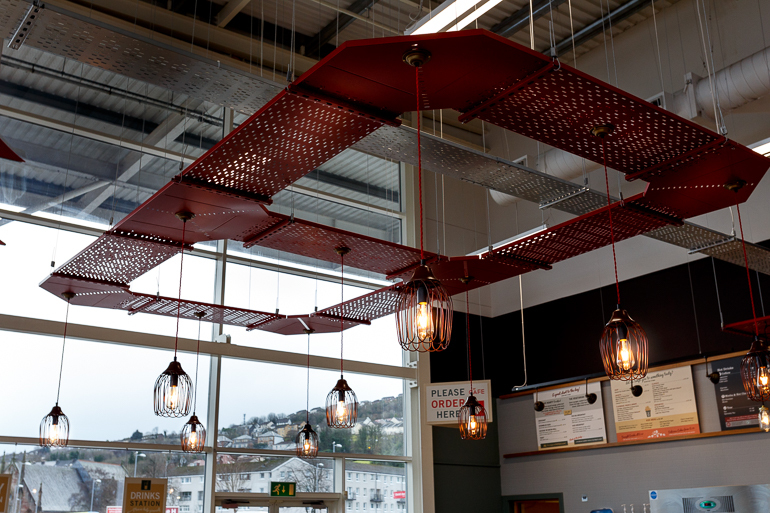 It features utilitarian tables and chairs, industrial-look ceiling fixtures, lighting, loft-look lighting rafts, leather sofas, wooden coffee tables, solid timber storage spaces, counter tops and floors and a host of eye-catching styling details. 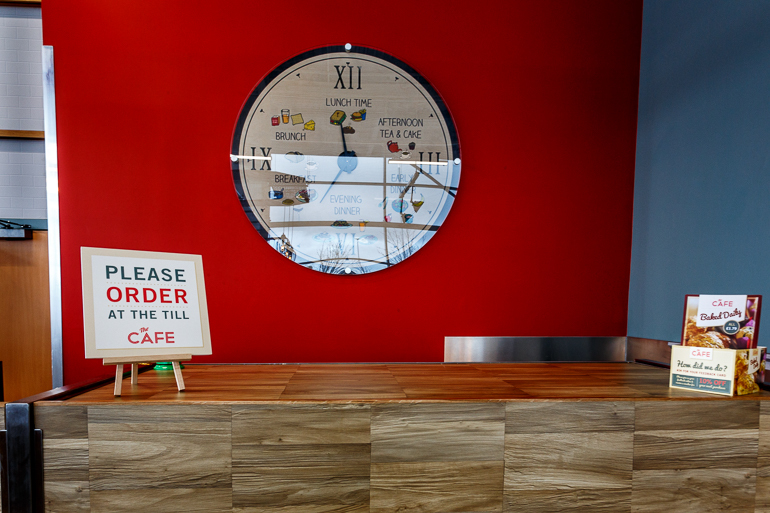 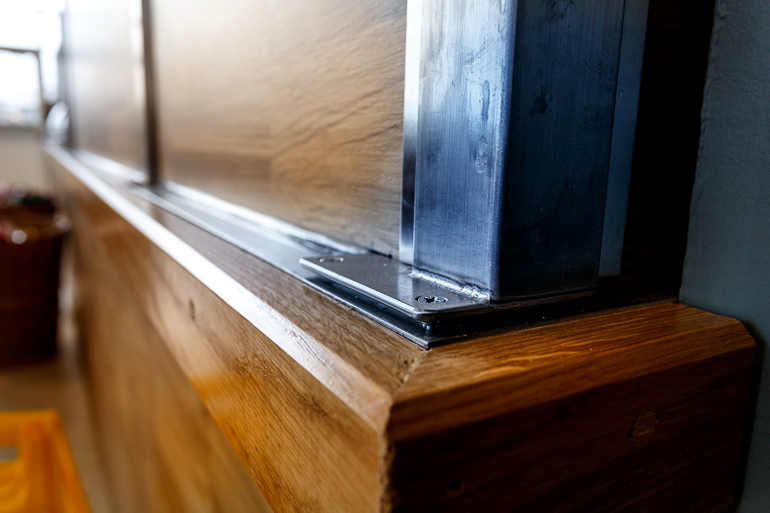 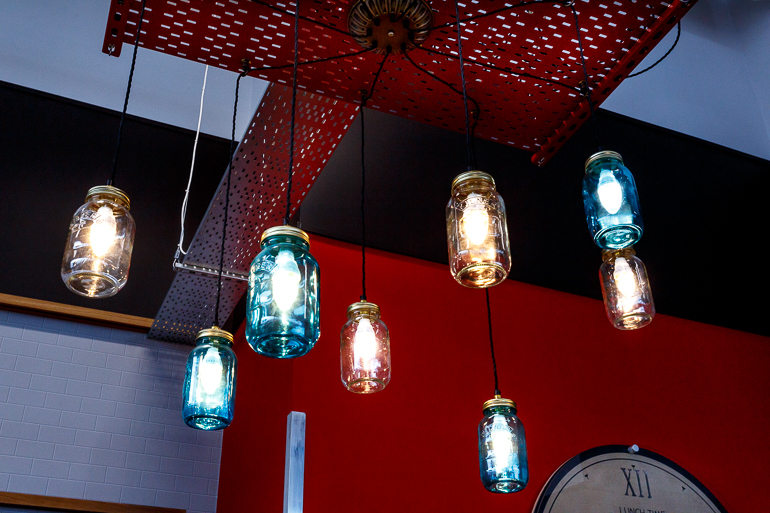 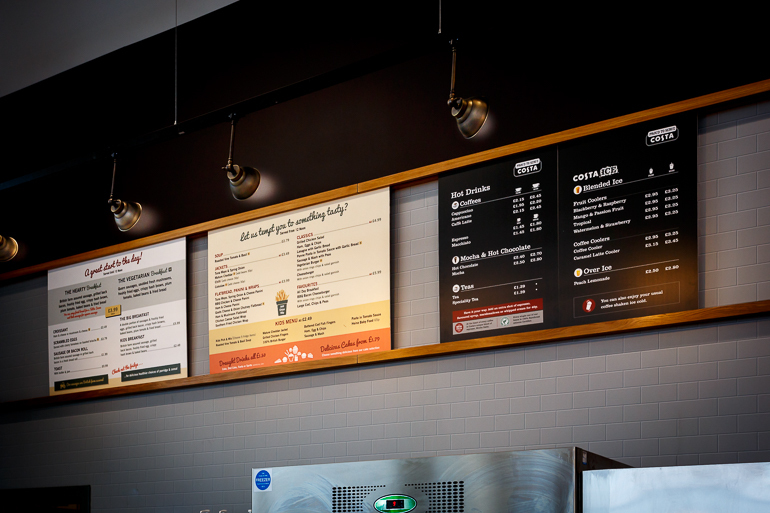 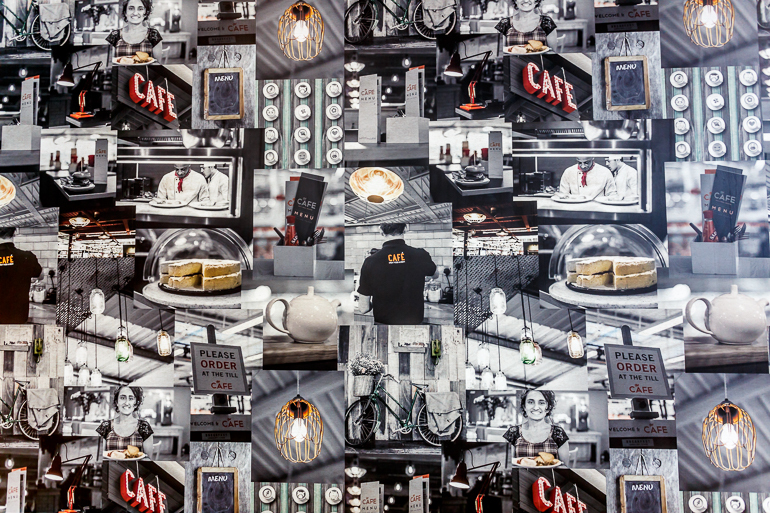 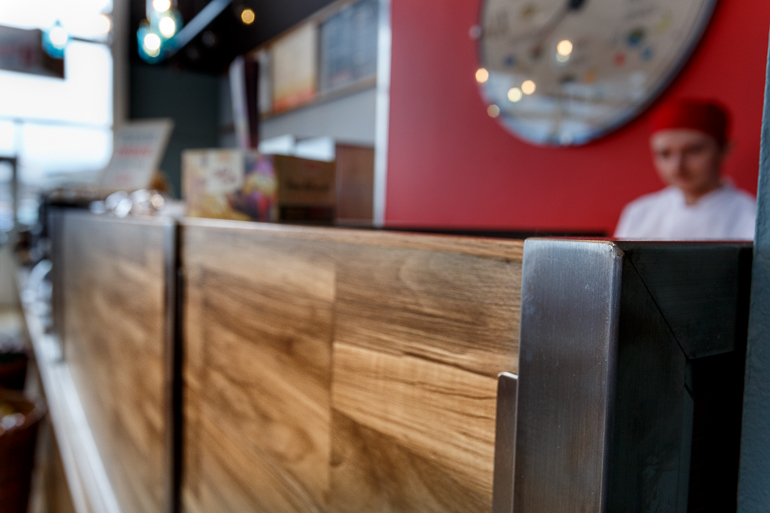 The £130,000 project, as can be seen from the photographs, is a striking yet relaxing dining environment for busy shoppers and families who are keen to eat while on the go. 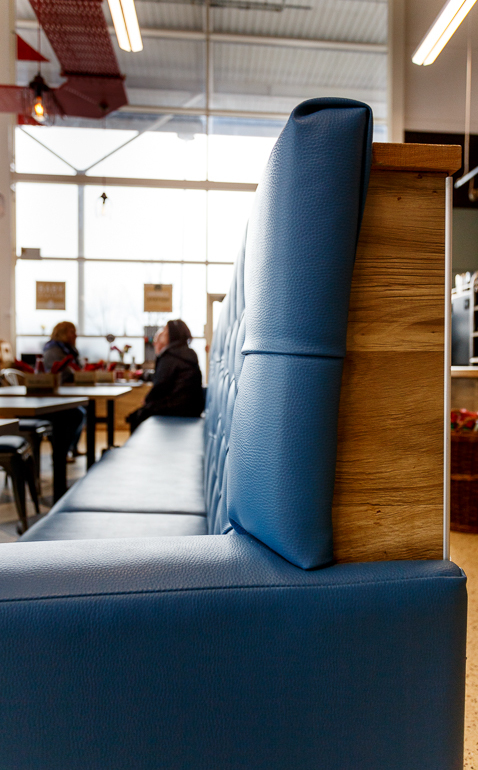 The restaurant also boasts fabulous views northwards over the Firth of Clyde towards the Arrochar Alps, the Gareloch and Argyll. 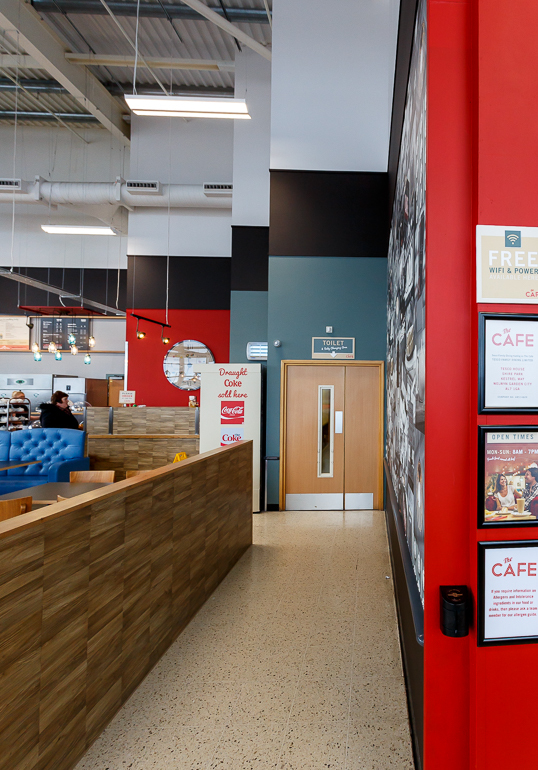 It matches other Tesco Cafes in Scotland that have recently been completed by Pacific at Linwood, Renfrewshire; and Springburn, Glasgow. 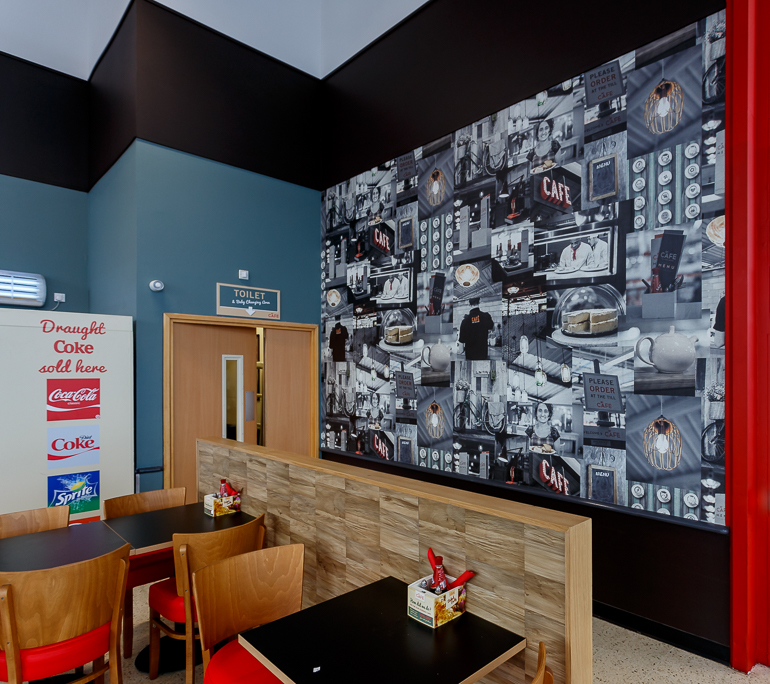 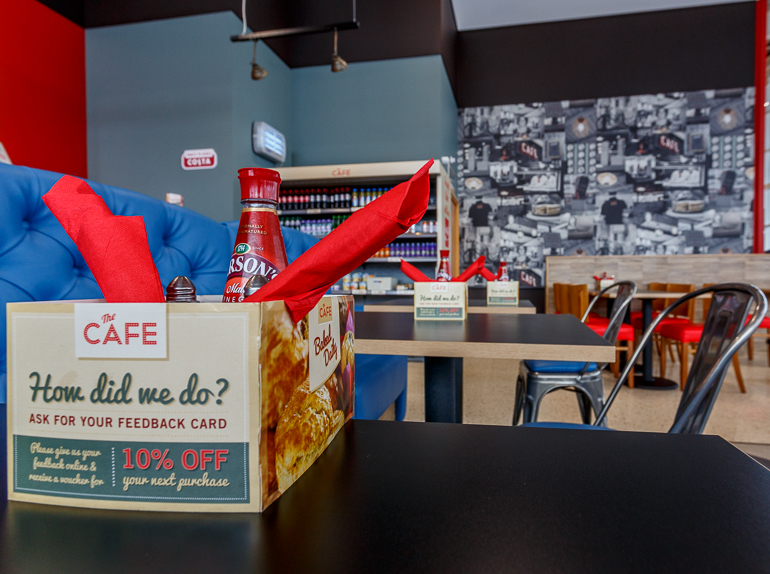 And it complements the Decks restaurant finished by Pacific at Tesco in Coatbridge, Lanarkshire, which is the next level up in the company’s three-tier dining experience Giraffe occupying the tasty top spot. 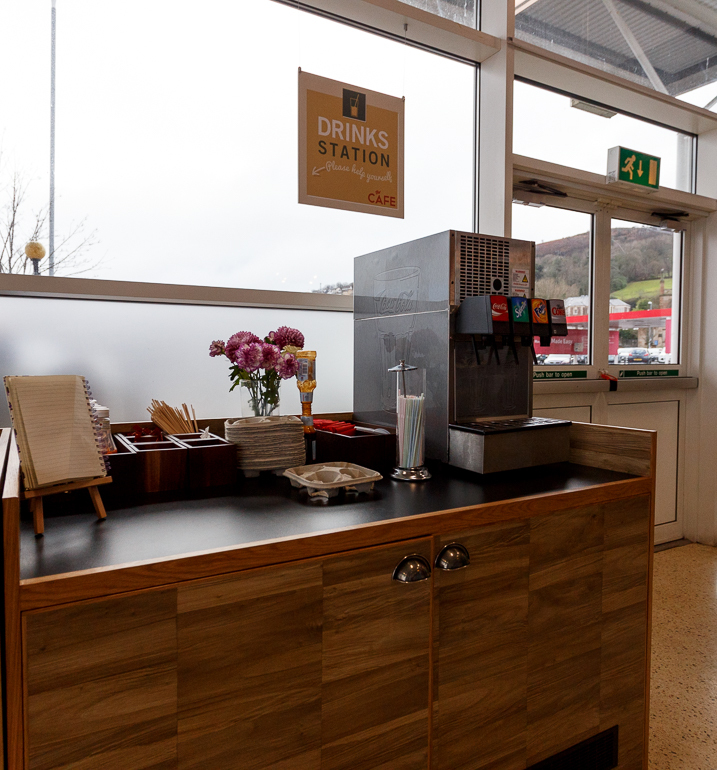 Pacific Building have delivered further Tesco Cafes in Scotland – in Musselburgh, East Lothian; Maryhill, Glasgow; and in Ayr. 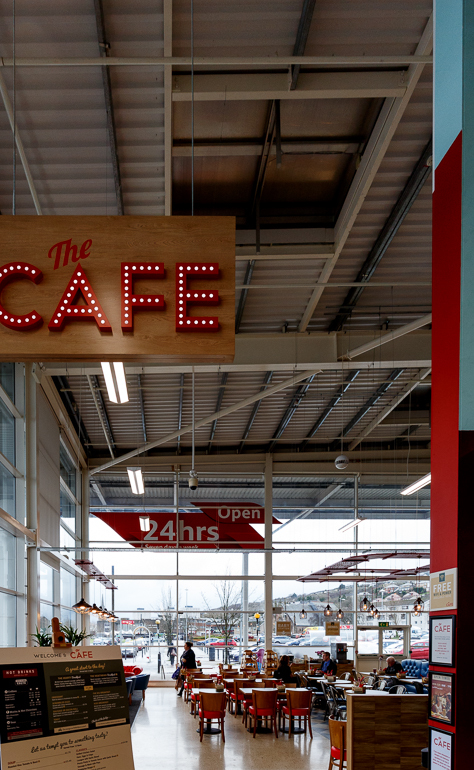 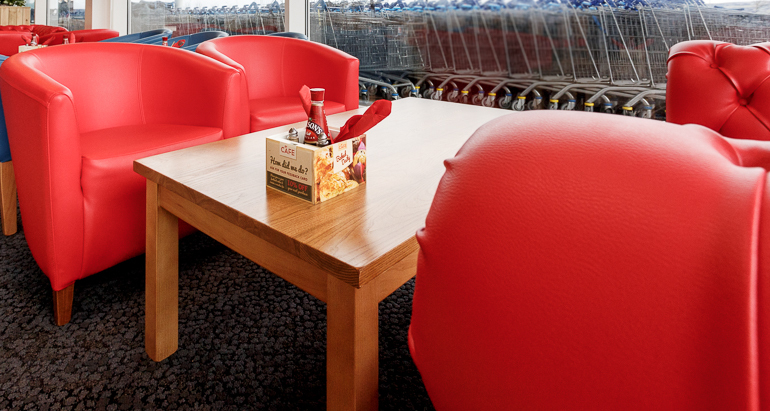 In England, Tesco Cafes have been completed in Wath Upon Dearne in Yorkshire, Barrow in Cumbria and Carlisle. 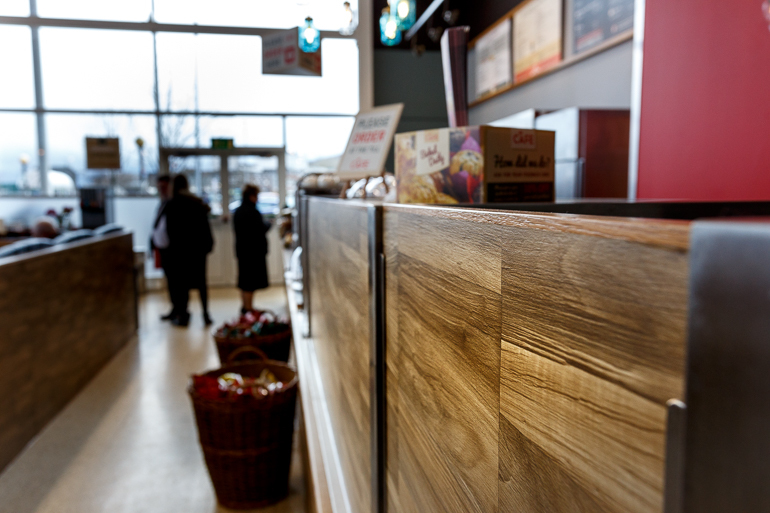 Pacific Managing director Brian Gallacher said: “We are now delivering for Tesco right across the United Kingdom, which is a huge feather in our caps.